Our future is thriving to be wireless. Anything connected through a cord or a wire will act as a restriction; it will restrict the flexibility and circulation within our own abodes as well. Today, Home Automation is in its initial stage of growth and with many new features proposed for the years to come, upgrading our homes for a wireless future will be very convenient and could be easily achieved. In a scenario, where someone is away from their home and has forgotten to switch off an electrical appliance, like a gas stove or an air conditioner, accessing the controls remotely through home automation apps, without being physically present in the space, will come practical, useful and easy-to-use. 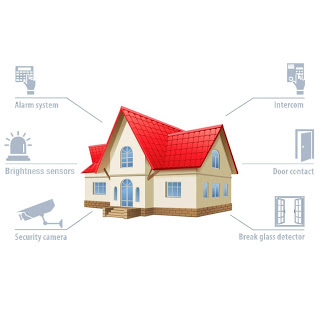 Apart from all these, safety surveillance and access control is something which, today, is a compulsive part of the home automation system for each and every household. Talking about features in the home automation systems or futuristic homes, there are multiple aspects like controlling, monitoring devices, appliances, air-conditioning systems or lighting control and other elements. This results in reduced costs. Among countless, undesirable incidents which take place these days, intrusion or trespassing is one of the major and utmost concerns. Security interfaces like these enable homeowners to be vigilant and observant of the various activities that are taking place in their premises, in their absence. So the surveillance cameras connected and integrated through the systems can raise an alarm. Action can be taken immediately. Hence, home automation is not a luxury, it is convenience and security. It has become more a part of everyone’s home as it helps to utilize things, eliminating problems, eliminating issues, avoiding bigger problems or disasters through this technology. Futuristic homes or the smart home is going to make life much convenient that interacting with your home will be just a click of away!